The kind of break they deserve. Here’s what we offer. are in an enclosed area. 4-5 walks daily, Walks are 30-45 minutes. in a safe enclosed area. Plastic beds & water bowls inc.
4-5 walks daily. Walks are 30-45 minutes. In addition to kennels, we provide dog walking and day care that will help make your dogs’ experience at Woodside Boarding Kennels the best it can be. Dogs spend the full day with us, they are picked up on the morning walk and dropped off on the afternoon walk (ie 9-5) and are walked three times a day. *We have a meet and greet service for first time customers in which we will come and meet your dog and discuss collection information for the dog and also any medical issues/ concerns etc you have with the dog. We don’t mind when you pick your dog up. Please just give us a little notice so we can get organised. Reach us on 07983 559 942.  Woodside Boarding Kennels - copyright © 2016. All rights reserved.